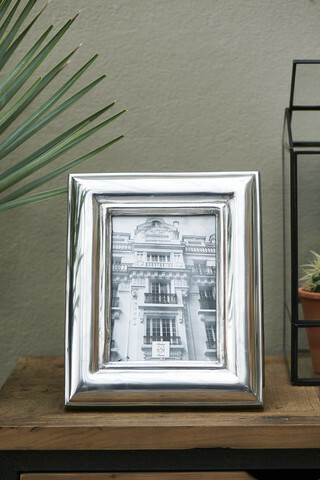 In the Bridge Point Photoframe, special photos are given a special place; a photo of a good friend, a group photo of the grandchildren or a memory of the summer holidays. Photos of 13 x 18 centimetres fit in this shiny, silver-coloured frame of 24 x 28 centimetres. The photo is well protected, because the round and wide frame is made of aluminium with glass in it.